Customer Onboarding: Where To Begin? Where do you start with customer onboarding? You are finally ready to build that onboarding system for your clients and customers, and you need a place to start. Let's take a look at it in three perspectives. do you have dedicated customer support? will your sales reps be involved in onboarding your new clients? who is going to create and keep the content up-to-date? Write down the broad goals of your onboarding course. Think of what do you want people who finish it to be able to accomplish. This will guide you when it comes to determining the actual contents of the course. Find out who you are going to enroll. Like in a university, teaching your product to a 35-year-old senior team lead may be quite different from teaching it to a 25-year-old junior who recently got out of college. Ideally, your onboarding course should be good enough for both. But just like in marketing, when you know who you are working with, you can tailor the content to best fit the final goal. Now it's time to look at more details. Determine at what point of your customer journey you'll introduce them to the course. Learning any product takes time. It may not be long, but to master something you need time to learn it. And you want your customers (as well as employees) to know your product well, that's for sure. You want to introduce your onboarding courses at the time when they are needed and not interfere with other activities. For example, don’t try to explain the features of your product in detail before your customer even has an account to work with. Set a more precise objectives of your onboarding courses. At this stage, you want to think of what you want to teach first and in what order. Basically, you think up a structure of the course. After that, you must determine how far you want to stretch it out. In other words, how many lessons you want to include in the course. You might have one lesson per topic, but then some of them may be quite long and will result in learning fatigue, which leads to lack of attention. Tip: Try keeping your lessons under 10 minutes. AcademyOcean has a Lesson Length feature to help you approximate how long any of your lessons will take to complete. A series of video lessons. A series of emails or blog posts. You can create an educational e-book and send it outAn offline class is also a viable option. Or you can create an online onboarding academy for your clients. How many people can you teach at any given time? — If you need to teach dozens of people at a time, offline lessons might not be the best idea. How will you keep your educational content updated? — Recording a new video every time you have an update is time-consuming and could be expensive. How will you track your learner progress? — You need to make sure people are actually consuming your content and finishing your onboarding course. Having detailed statistics like the ones AcaademyOcean provides can come in very handy. After you have your long-term and mid-term plans laid out, you have to create the content for your onboarding course. Creating lessons will be your short-term tasks. Since you are trying to educate your customers, clients or even employees, we suggest using the same approach schools use to create their educational programs. Gather all available information you have in different forms: FAQs, knowledge base, whitepapers, etc. Then structure it according to your objectives in the previous steps. If you have several courses planned out, it's a good idea to outline for each one of them. In education, it's called creating a course syllabus. A course syllabus will let your learners know what knowledge they will receive after completing it. This will ensure people are learning exactly what they want and do not feel disappointed after the course does not meet the expectations. 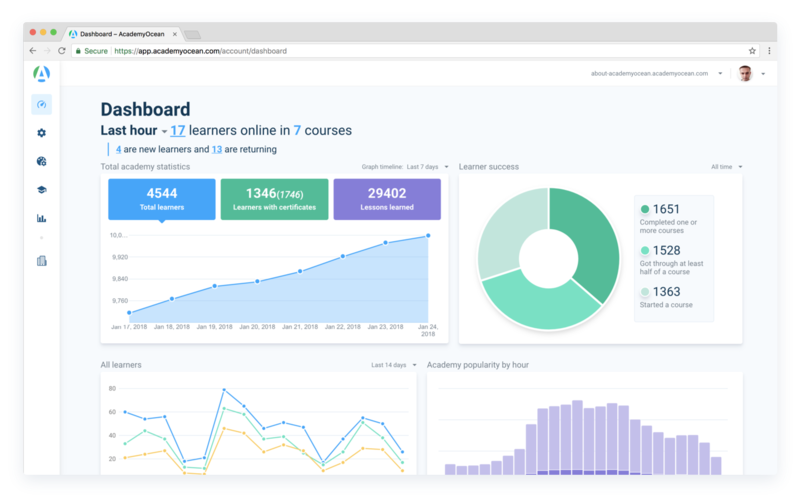 Create your lessons and after you are done — launch your onboarding courses. Oh, and don't forget to quiz your learners. Studies show that reading information and then taking a quiz is much a more effective form of learning. Forcing your brain to retrieve data ensures that it becomes ‘embedded’ for use in the future. AcademyOcean quiz feature is designed to do just that. 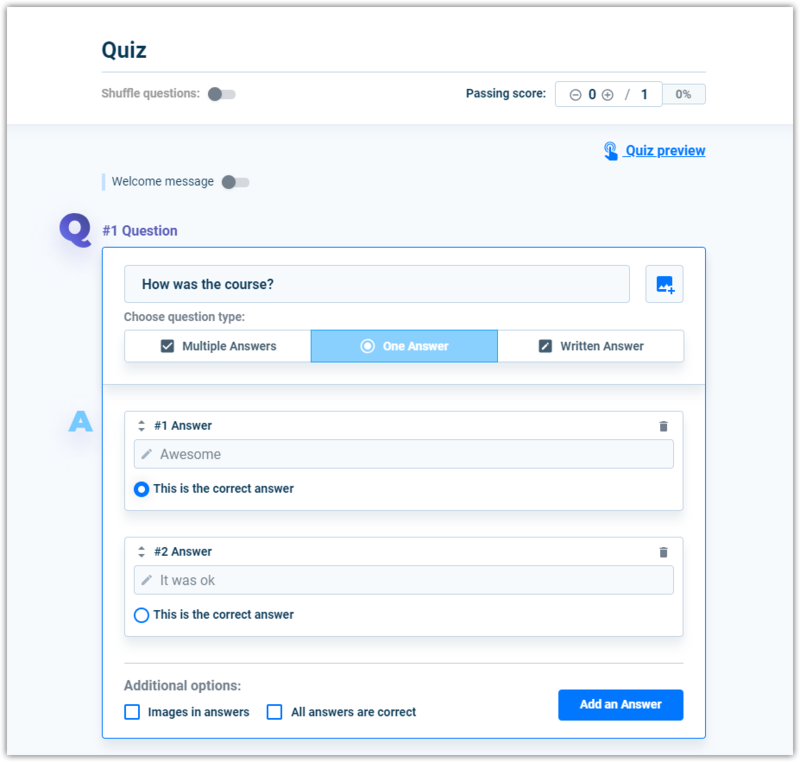 You can create quizzes with multiple answers, open answers, even with image answers, or any combination of these. This is our take on planning and implementing a customer onboarding system for your company. Let us know how you did or plan on building your onboarding process. 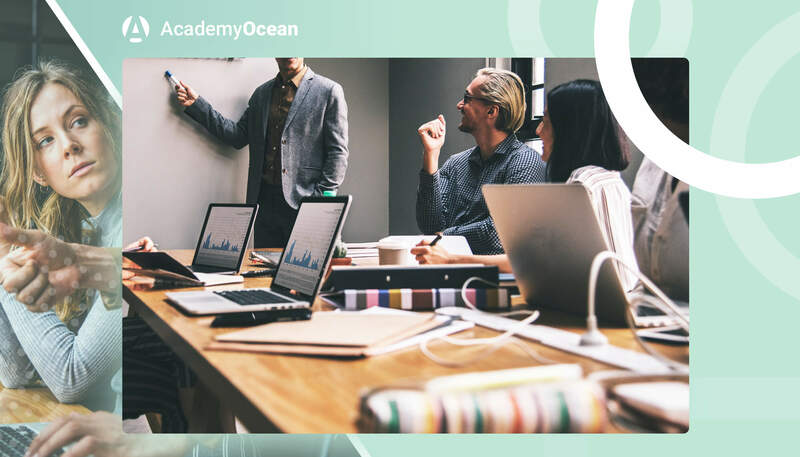 If you are still considering the tool for the job, take a look at how you can use AcademyOcean for customer success and onboarding processes. Next Post What changed in SaaS content marketing? Best practices in customer success from SaaStr Europa 2018 with Katherine Barrios, Emilia D’Anzica and Sue Duris. Hiring new teams, balancing the department communication and the right skill sets for CSM.